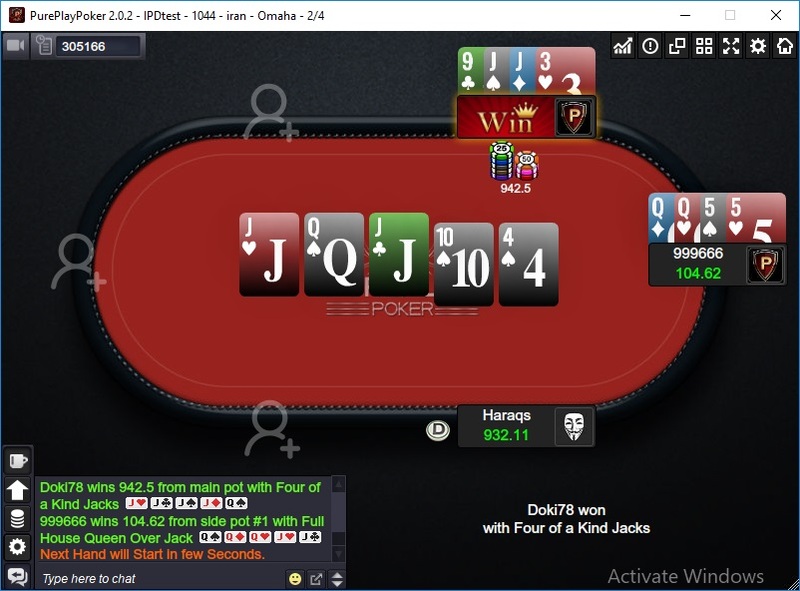 ItalyPokerDeals customers are invited to join PurePlay, a new Israeli poker room, with high stakes games in both Holdem and Omaha. 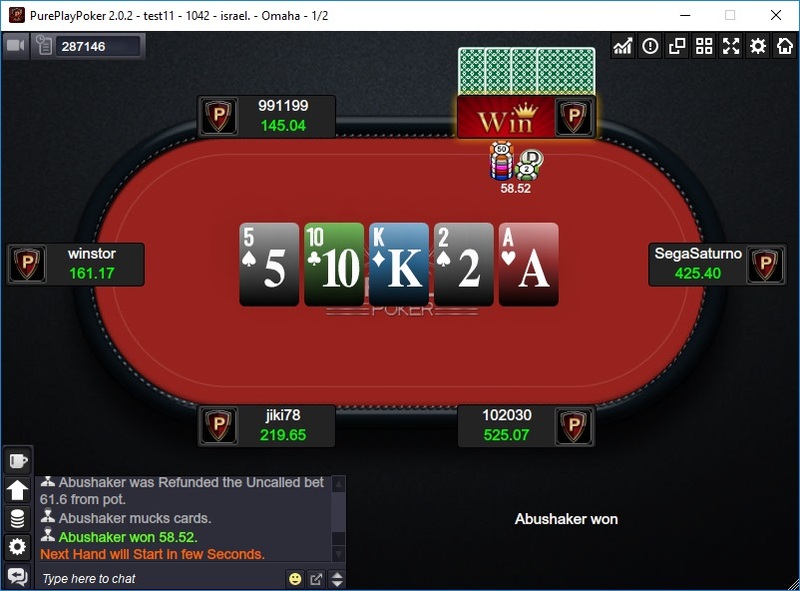 Since online poker is not very popular in Israel, you can expect some of the softest games around, with local recreational players and unexperienced regulars. ItalyPokerDeals is offering you access to PurePlay games and a 30% PurePlay Poker rakeback deal. Rakeback will be paid to your poker account, on a weekly basis, usually on Tuesdays. In order to join this network you need to work with an agent because there is no direct registration option available, since it is an underground poker room. 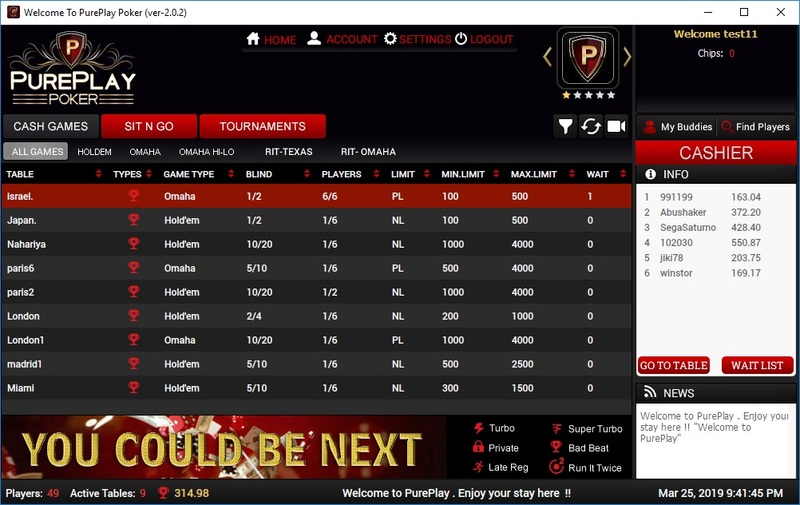 PurePlay Poker accounts are provided by our team. PurePlay policy allows the use of random data accounts and there is no verification required. Accounts can be accessed from any IP, there is no need to use a VPN. PurePlay games will be suspended every Tuesday for a few hours for the settlement between our agency and the poker room. During this time, your balance will be taken from the account and it will be deposited back when the settlement is done. PurePlay games currency is ILS (Israeli New Shekel). At the time of writing of this review, 1 EUR = 4 ILS. PurePlay is hosting cash games, but they are not offering any SNGs or MTTs at the moment. Holdem tables start from 1ILS/2ILS (€0.25/€0.50) and the highest stakes offered are 10ILS/20ILS (€2.5/€5). Traffic is low and most active tables are the ones from 5/10 and 10/20. 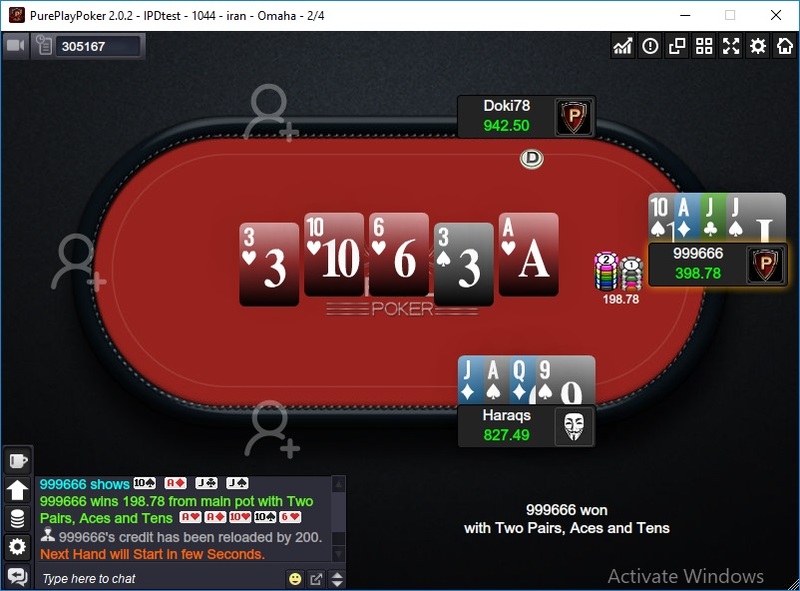 Omaha tables start from 1ILS/2ILS (€0.25/€0.50) and the highest stakes offered are 50ILS/100ILS (€12.5/€25). Traffic is not great and most active tables are the ones between 1/2 and 15/30. - Cryptocurrencies : BTC (more will be added in the near future). 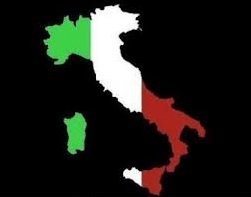 All transactions are made via ItalyPokerDeals. For depositing, you will send the money to one of our Skrill or Neteller ewallets or BTC addresses and we will credit your PurePlay Poker account. Deposits will be processed within a few minutes up to a few hours. The minimum amount for deposits is €500 or the equivalent USD or BTC amount. For withdrawing, you inform us the amount you want to cash out, we will make the request and when it is processed, you will receive the money to your wallet or BTC address you provide. You can request withdrawals anytime and they are usually processed within a few hours up to a couple of days since the moment of request and sometimes it is just a matter of minutes until you can spend your earnings. There is no PurePlay bonus available. There are no PurePlay Poker promotions offered at the moment. 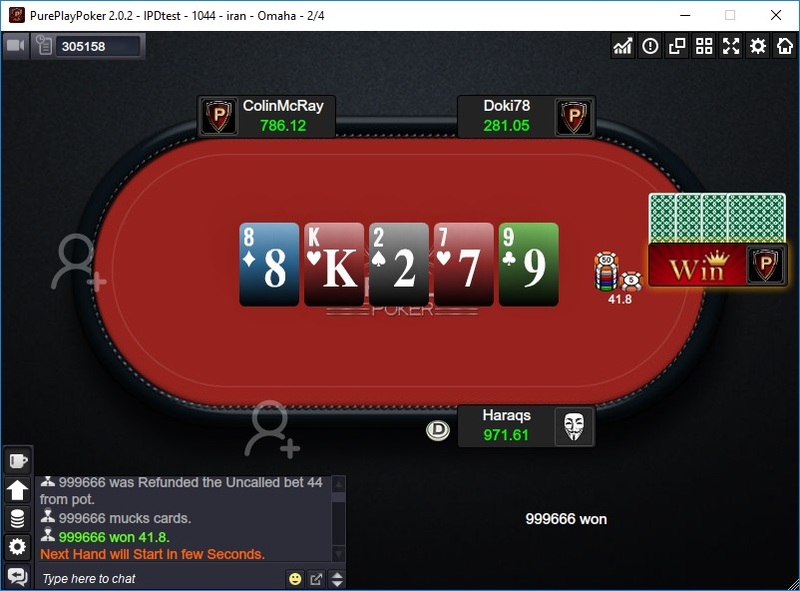 PurePlay Poker does not offer any VIP system or any kind of rakeback. ItalyPokerDeals customers will benefit from a flat rakeback offer in PurePlay.